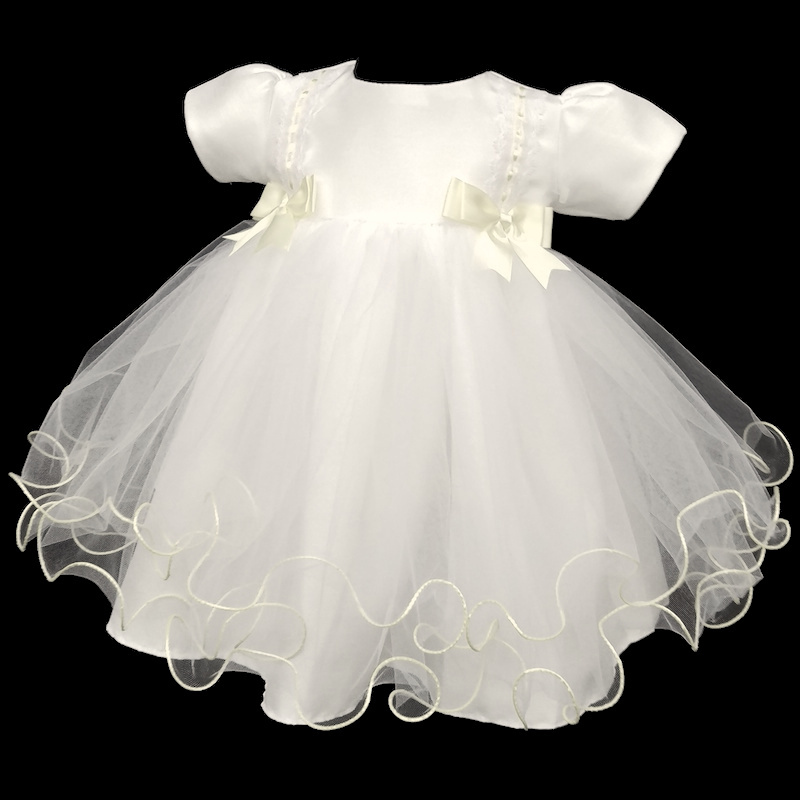 Baby girls ivory double bow tulle dress, perfect for a christening or a baby flower girl at a wedding. Dress: This ivory dress has a fully lined dupion bodice. Featuring two large bows to the waist, with a lace and ribbon trim on the chest. An ivory satin sash beautifully ties around the back into a large bow. This dress has short puff sleeves with a discreet zip fastening at the back. Two layers of ivory fluttered net tulle with piped edging complete with a satin underlay. I purchased this yesterday afternoon and received my order at 8.40am this morning. Just tried it on my little one and it is stunning. Perfect for her special day in 2 weeks. I also purchased socks, tights, shoes, headband, bib, cardigan and knickers and they all match perfectly. So happy I found your website.